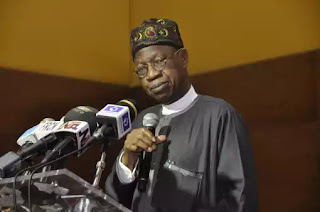 Nigeria’s Information Minister, Lai Mohammed, has said that the country would have erupted in crisis, if President Muhammadu Buhari did not approve the deployment of troops to the South-East, to tackle the menace of the Indigenous People of Biafra (IPOB). Last week, the Army launched ‘Operation Python Dance II’ to clampdown on pro-Biafra agitators in the region. Speaking with state house correspondents in Abuja on Wednesday, Mohammed also stated that the intervention of South-East Governors and their Northern counterparts, staved off reprisal attacks in the north. “But before I proceed, let me state clearly that it is within the rights of individuals or groups to seek self-determination. But this pursuit has to be non-violent. Where any group crosses the line by engaging in violence, it risks being cut to size. And that’s exactly what has happened to IPOB,” he said. “I am not interested in the semantics or legality of troop deployment or the proscription of IPOB. All I know is that IPOB has engaged in terrorist activities; setting up parallel military and paramilitary organisations, clashing with the national army and attempting to seize rifles from soldiers, using weapons such as machetes, Molotov cocktails and sticks and mounting roadblocks to extort money from people, among others.